Continental ContiCrossContact™ LX 2 is safe on the road. And beyond. Continental ContiCrossContact™ LX 2 is safe on the road. And beyond, when doing light-duty off-road driving. This tyre features excellent dry and wet braking performance and very good handling properties on road while providing outstanding traction in light off-road use. 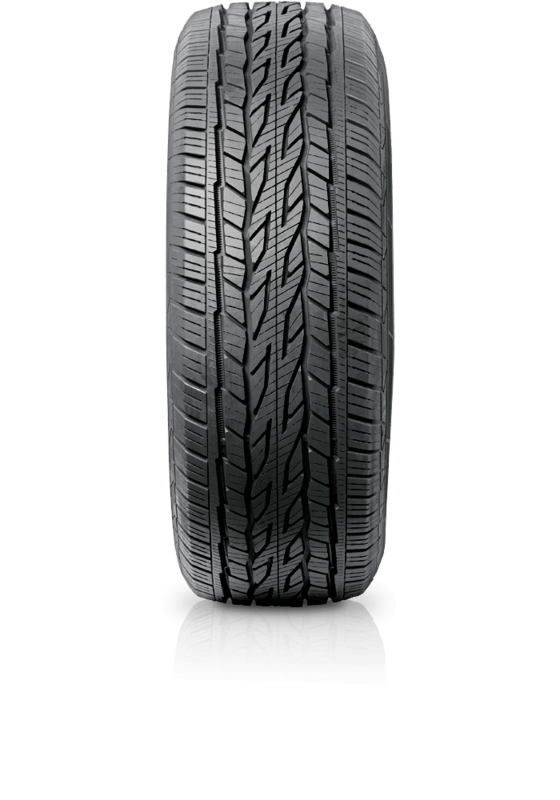 The shoulder pattern creates a barrier against tyre noise and gives a high level of driving comfort. The flat tyre contour facilitates an even distribution of pressure between the tyre and the road surface leading to higher mileage.